Here are Fully-funded Masters scholarships open every year that every Ethiopian student can apply for today. The University of Manchester will be offering up to four scholarships for selected master’s courses to applicants from Ethiopia. The Mastercard Foundation Scholars Program (MCFSP) at the University of Gondar awards a total of 160 graduate scholarships in the coming eight years, starting from 2018/19. The University of Edinburgh will offer scholarships for distance learning Master’s programmes offered by the University. Each scholarship will cover full tuition fees and will be tenable for three years. The Eastern and Southern Africa Higher Education Centers of Excellence (ACE II) Project supports the governments of Ethiopia, Kenya, Malawi, Mozambique, Rwanda, Tanzania, Uganda, and Zambia in strengthening selected African Centers of Excellence (ACEs) to deliver quality post-graduate education in Africa. Up to £25,000 is available each year to allocate to successful candidates – either as full or partial scholarship awards. A full scholarship will fund your course fees, travel costs, accommodation, visa, subsistence and health insurance for 12 months – equivalent to a cost of £25,000. Partial awards will be determined on a case by case basis. Chatham House is pleased to invite applications for the Mo Ibrahim Foundation Academy Fellowship in the Queen Elizabeth II Academy for Leadership in International Affairs. GENES (Mobility for plant genomics scholars to accelerate climate-smart adaptation options and food security in Africa) is a consortium of four universities from four African countries funded by the Intra-Africa Program of the Education, Audiovisual and Culture Executive Agency (EACEA) of the European Commission. On 1 July 2017 the Netherlands Fellowship Programmes (NFP) entered a new phase as a new programme under the name Kennisontwikkelings programma (KOP). 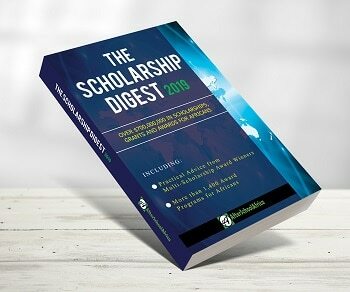 The scholarship is announced for the citizens of following countries: Egypt, Lebanese Republic, Republic of Iraq, State of Israel, Palestine, Islamic Republic of Pakistan, Syrian Arab Republic, The Hashemite Kingdom of Jordan, Republic of Kenya, Federal Democratic Republic of Ethiopia and Nigeria. New Zealand Aid Programme Scholarships offers the opportunity to people from targeted African countries to undertake development-related studies at tertiary education institutions in New Zealand.